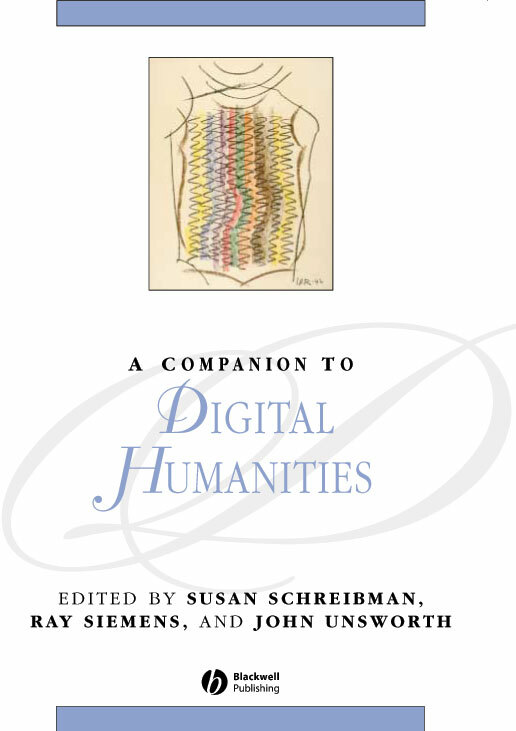 A Companion to Digital Humanities, ed. Susan Schreibman, Ray Siemens, John Unsworth. Oxford: Blackwell, 2004. The real origin of that term [digital humanities] was in conversation with andrew McNeillie, the original acquiring editor for the Blackwell Companion to Digital Humanities. We started talking with him about that book project in 2001, in april, andby the end of November we’d lined up contributors and were discussing the title, for the contract. Ray [Siemens] wanted “a Companion to humanities Computing” as that was the term commonly used at that point; the editorial and marketing folks at Blackwell wanted “Companion to Digitized humanities.” I suggested “Companion to Digital humanities” to shift the emphasis away from simple digitization. Kirschenbaum, Matthew G. (2010). 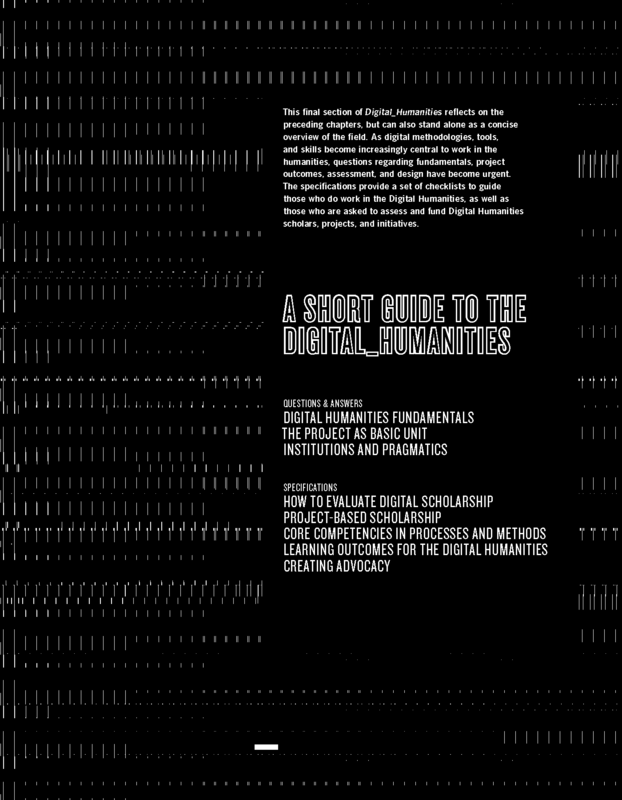 "What is Digital Humanities and What's it Doing in English Departments?". ADE Bulletin (150). "Digital Humanities is a mode of inquiry and scholarship. It seeks to engage traditional questions using computational tools. It seeks to disseminate information in digital formats. And it engages questions of how reliance on computational tools shapes the questions asked and interpretations offered in the humanities". What do we mean by Digital humanities? With the rise of di­gi­tal me­dia and in­for­ma­ti­on sys­tems, new tech­ni­cal forms of pro­ces­sing con­tent have emer­ged. From the per­spec­tive of the hu­ma­nities, this has gi­ven way to di­ver­gent in­te­rests and me­tho­do­lo­gies: On the one hand, de­ve­lo­ping di­gi­tal tools for hu­ma­nis­tic re­se­arch al­lows one to look at con­tent dif­fer­ent­ly (e.g. dis­tant rea­ding). On the other hand, loo­king cri­ti­cal­ly at tech­no­lo­gy in use al­lows one to de­li­ver a cul­tu­ral ex­pla­na­ti­on of our by now ubi­qui­tous di­gi­tal tech­ni­ques as de­mons­tra­ted by soft­ware stu­dies.